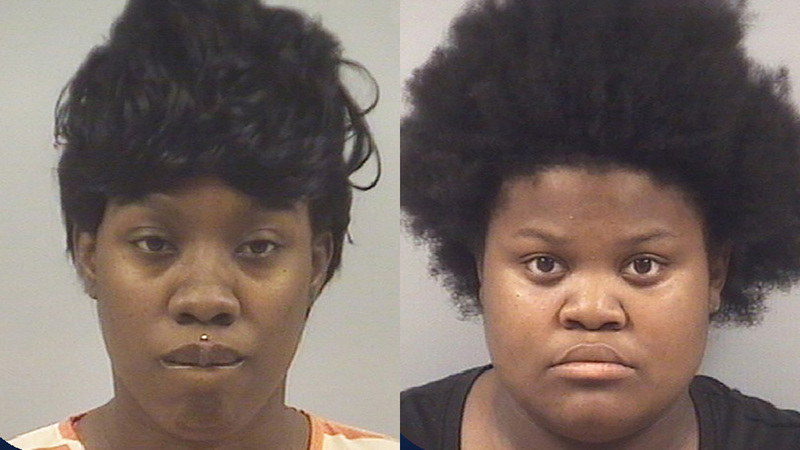 WILSON -- Two North Carolina women have been arrested following an unusual case of identity theft. Authorities said 18-year-old Anna Alston was set to appear in court for a case Tuesday. But instead, her sister appeared in her place. Tyeisha Alston, 24, reportedly told the court that she was Anna. But when court officials announced there was an arrest warrant for Anna, Tyeisha reportedly admitted she wasn't her sister. When the judge ordered her to be taken into custody for identity theft, officials said she fled. While on the run, reports show she saw her sister near the courtroom and told her to flee as well. An officer working the metal detector at one entrance to the courthouse attempted to stop Anna. He and another police officer were able to tackle her, but as they fell, he sustained a severe arm injury that will require surgery. He was taken to hospital for emergency medical treatment. Anna was charged with felony assault causing injury to a law enforcement officer, assault with a deadly weapon, and injury to property. Tyeisha was charged with identity theft, resisting a public official, and simple assault. Bail for the sisters was set at $80,000 each.